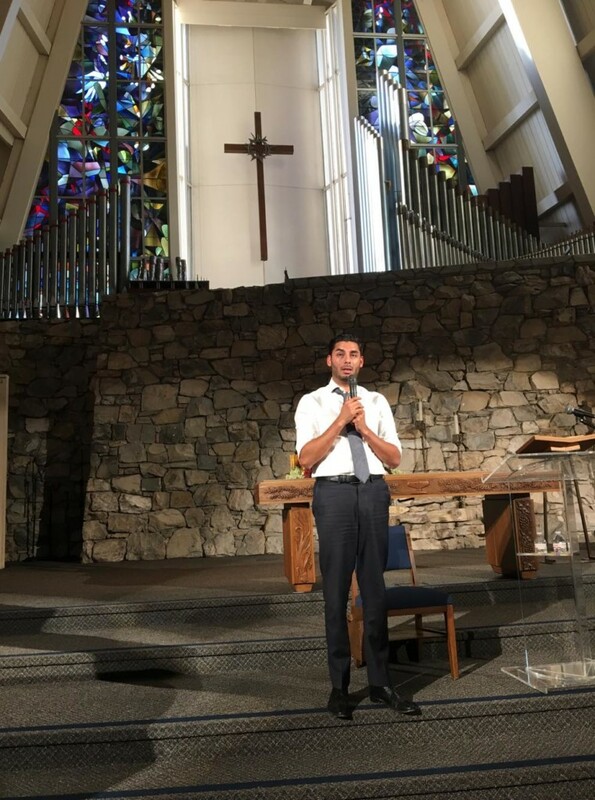 ESCONDIDO — A group of more than 90 people filled the pews at Escondido’s First United Methodist Church on Aug. 28 to hear Ammar Campa-Najjar — the Democratic candidate for the U.S. House of Representatives 50th Congressional District seat — answer questions from the audience. Because his opponent — the Republican incumbent U.S. Rep. Duncan Hunter — denied an invitation to participate in the town hall-style convening, the 29-year-old Campa-Najjar flew solo for the evening. The First United Methodist Church of Escondido — which explained in introducing Campa-Najjar that it does not endorse candidates for office — has maintained the tradition of candidate forums of this sort for years in the city for elected office. Answering a question asked by The Coast News, Campa-Najjar addressed what he saw as the biggest policy and social issues facing Escondido. Campa-Najjar also called for more public funding to go toward schools, public libraries and other institutions in the city, pointing to the recent outsourcing and privatization of library services in Escondido as a case in point. Gang violence, too, is an issue Campa-Najjar said needs addressing in the city. For Escondido, Campa-Najjar also addressed the issue of the political power of real estate developers and their connections in City Hall. 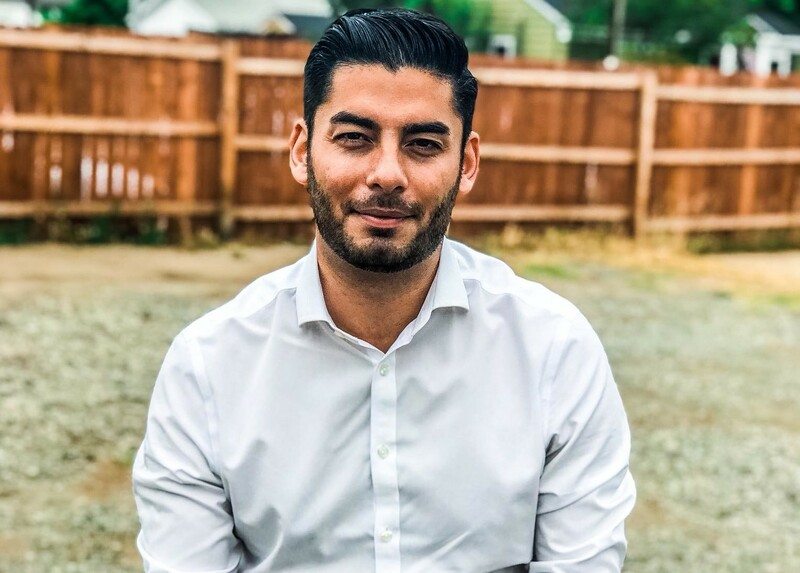 Pledging to take no corporate campaign donations for his race for Congress, Campa-Najjar said he believes doing so will make him more accountable to voters and less so to special interests. Hunter and his wife, Margaret Hunter, were recently indicted by a federal grand jury for using campaign money for personal expenses, such as flights and vacations. Though no questions were asked about this by the audience, Campa-Najjar found an opportunity to broach the topic when asked a question about his grandfather’s background. Campa-Najjar’s grandfather Muhammad Yusuf al-Najjar, who died 16 years before the birth of his grandson in 1973, was the head of the intelligence wing of the Palestinian political party Fatah, which had a splinter group named Black September which committed acts of terrorism. One of those acts was the attack in Munich at the 1972 Summer Olympics, which was orchestrated by Yusuf al-Najjar, an act for which he was assassinated by the Israeli military in 1973 under the auspices of what was dubbed Operation Wrath of God. Though Campa-Najjar grew up in the East County portion of San Diego County, he lived in the Palestinian territory of Gaza from 1997 to 2001. Campa-Najjar has called for a two-state solution in Israel and the Palestinian territories, which he said will require “generous concessions” on both sides of the bargaining table. Overall, the forum primarily focused on domestic issues, such as health care, creation of a federal jobs program, immigration, the debate over imposing a federal gas tax and the issue of the ongoing debate over the U.S.-Mexico border wall, among other things. Hunter, despite the indictment, still leads in the most recent poll taken by Survey USA — 47 percent to 39 percent — an eight-point lead in a district which has long voted Republican. 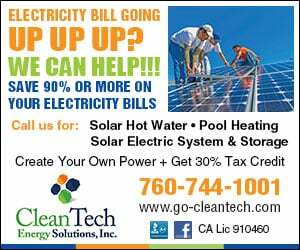 Duncan Hunter’s father, Duncan Hunter Sr., formerly served as a Republican congressman for the district. On the day of the forum, Hunter spoke in front of the organization Women VIPs in Washington, D.C.
At 6 p.m. Sept. 28, the First United Methodist Church in Escondido will host another forum at focused on local elected officials running for office for the Nov. 6 midterm elections. This will include candidates for both City Council and the mayoral election and the event is open to the general public.